This evening will be a wonderful opportunity for friends to enjoy the miracle of Spirit communication in a group session. 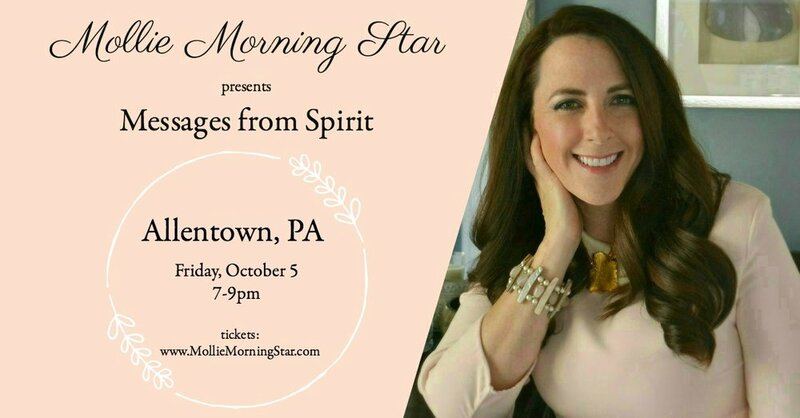 She'll be sharing stories of after-life communications and signs of hope. Mollie is well known for her delivery of compassionate and loving evidence connecting to the afterlife. If you enjoy watching the TV medium shows like “Long Island Medium” and John Edward’s “Crossing Over” you will absolutely LOVE this event! This is a small group, limited to only 80 attendees, so you will have a much better chance of receiving a personal connection than at a large celebrity event.